Wine and cheese may be your go-to for a sophisticated soiree, but why not put a fun twist on this tradition and host a popcorn and wine tasting party?! You can still serve your favorite cheesy flavors, or get a little risqué with your palate and opt for flavors like savory Double Cheese or decadent Drizzled Butter Toffee. Dress up your celebration by presenting your treats and cocktails in a creative way. Invite the neighbors over and pop in your favorite film for a relaxing yet fun celebration. Serve up a tub of buttery goodness and enjoy a low-key evening while munching on the ultimate movie watcher grub. Make your own popcorn party mix or set out a variety of flavors. Turn it into an activity by having guests “blindly” taste the flavors and vote on the ones they like most and least. You can even send guests home with a tasty party favor by filling a cellophane bag with popcorn and wrapping it with red ribbon. Take your movie watching party to the next level with more ideas at Celebrations.com! This year’s National Popcorn Day falls on a Sunday, which is a good excuse as any to make it a lazy day filled with snacks and crafts! Get the whole family involved and turn it into a family fun night – just make sure you don’t eat all the supplies first! The possibilities are endless with popcorn crafts. You can make something as simple as a tasty necklace, or as pretty as these blooming popcorn flowers. Or, to cut out the prep work, set up a crafting area and pick up a ready-to-go decorating kit and simply watch the magic happen! Be sure to cover your area with plenty of newspaper for less mess and easy cleanup. How will you celebrate National Popcorn Day? Tell us in the comments! Hear ye, hear ye: We’re overjoyed to announce that January 19 is National Popcorn Day! To help you celebrate the world’s yummiest and most fun snack, we’ve gathered a list of exciting National Popcorn Day activities for you to enjoy with your kids. Plus, we’ve even put together a spankin’ new recipe just for you: Our Tuxedo Chocolate Chip Cookie Popcorn is perfectly dressed for the occasion. So get ready; this is going to be one pop-tastic holiday for the whole family! Help your kids carefully string together some popcorn to create garland. Hang up your delish décor anywhere in your house, or turn it into an outdoor bird feeder by covering it with birdseed. Test your kids’ knowledge with a pop quiz! Search the Web for some little-known popcorn facts, and then use them to create a flash card game. At the end of the game, each contestant gets a special popcorn treat as a prize. Go to the library and take out some popcorn-themed books that your kids can read while they munch on their favorite snack. Or, make a different kind of pop art: Grab some construction paper and glue, plus a few fun popcorn flavors and colors. Help your kids glue the popcorn to the construction paper to create a masterpiece. To end your holiday on a very sweet note, try our special National Popcorn Day recipe below! *Peanut Brittle Popcorn adds a hint of saltiness that perfectly complements the chocolately flavor of the cookies. But if anyone in your family is allergic to peanuts, use another sweet Popcorn Factory flavor instead, like caramel or kettle corn. Pour the Peanut Brittle Popcorn into a large mixing bowl. Crumble the cookies into tiny bite-sized pieces and add them to the bowl of popcorn. Then, add the white chocolate chips and lightly stir the mixture until the popcorn, cookies and chocolate are well-blended. Place the semisweet or milk chocolate chips in a microwave-safe bowl and heat it in the microwave until it is melted, making sure to stir the chocolate every 30 seconds. Once the chocolate has melted, pour it over your popcorn mixture and gently stir it to get an even coating. Pour the popcorn mixture onto a cookie sheet lined with wax paper and spread it out into a thin layer. Cool it in the refrigerator for 5 minutes or until the melted chocolate has completely hardened. When it’s ready, break apart your Tuxedo Chocolate Chip Cookie Popcorn into big chunks and enjoy! Store any leftovers in an airtight container. How will you and your family celebrate National Popcorn Day? ‎1st Place NFC/AFC Championship Game Popcorn Party – 3 Prizes! Welcome to The Popcorn Factory ‎1st Place NFC/AFC Championship Game Popcorn Party! Wow. The Jets knocked off Tom Brady and the Patriots. The Bears will play the Packers in the playoffs for the first time since 1941. And the Steelers advance with a drive in the closing minutes that included a 58-yard pass to rookie Antonio …Brown on third-and-19 (3rd and 19 against the Ravens defense with cover protection). Unbelievable! Please post about a paragraph or two telling us about how watching football can bring the family and friends together and how popcorn makes that time so much better! We really love it when our popcorn is shared amongst family and friends, so we absolutely love to hear these comments! Pictured to your left is the New York Jet 3-Way Popcorn Tin. The winners of course can select from their favorite team’s tin, even if that team is eliminated. 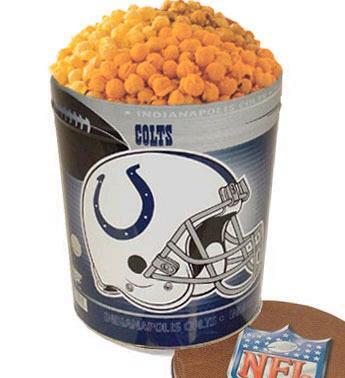 🙁 You can see a list of all football popcorn tins here. We will select 3 random winners! 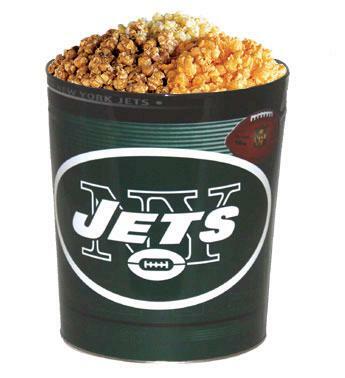 National Popcorn Day – January 19th or the day of the Superbowl? So there is a bit of popcorn controversy in the popcorn world. controversy in the popcorn world you say, how could that be you ask? Popcorn is fun and great to eat with family and friends. What controversy could possibly exist? Well it surrounds National Popcorn Day. There is a consensus around the idea that National Popcorn Day is at the end of January. But is it on January 19th or on the day of the Superbowl? Okay, okay so to the rest of the world that might not be the biggest controversy around, but here at The Popcorn Factory it’s mighty big and creates quite a few lively discussions around well…the Popcorn Factory! Anyways, let’s hear your thoughts. In a about a paragraph or two, let us know which day you think National Popcorn Day should be on and how your feelings about popcorn have changed from when you were kid to now as an adult. And how do you feel sharing popcorn as a treat with your kids, nieces, nephews, etc. We’ll pick 3 lucky winners randomly! Go Popcorn! Go National Popcorn Day!